Even the smallest child seems to have a fascination for things that wash up along the shores of the ocean. Watch people as they wend their way along the beach: they stop to pick up striped rocks, pastel-hued sea glass or bits of wood that have been polished to a silky softness. 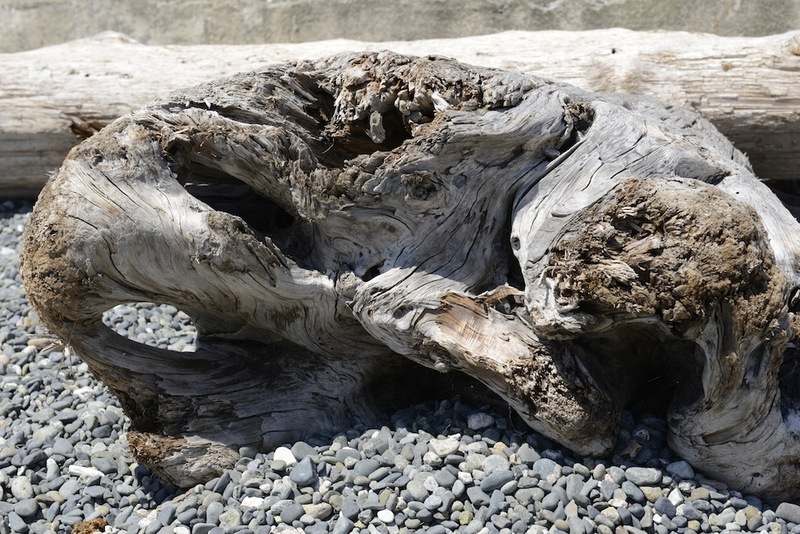 This is the sea’s sculpture gallery where a combination of fierce sun and salt has stripped away bark and roots to reveals a new twisted form – each is unique, only hinting at a previous greener incarnation. The small ones sometimes find their way home with us, the large ones rest like weighty monuments waiting for the next week or year when we may visit once again.